You’re settled in, everything is unpacked and in their rightful places. Now you’re ready to show off your new home and invite a few guests to come over. What better way to do that than a Housewarming party! Usually housewarming parties are thrown for first apartments, first house and/or starter homes. If you move every other month then this is not the blog post for you. If you do not move every other month then this is the blog post for you! 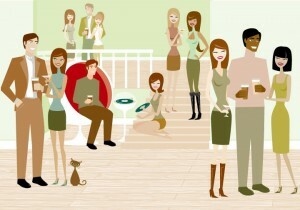 Here is a guide list to throwing a housewarming party. How do you want to announce your party? You can craft your own invitations, buy them out, Evites (but you’ll have to know your guests’ email addresses) or Facebook invite (the fastest). Sending out an invitation a month in advance is one of the best options. It gives the people you want to invite a heads up and schedule any other activities around the date you chose. Also after the first invitations make sure you send out reminders leading up to the party. 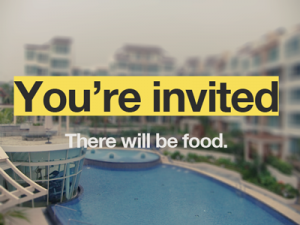 If you want your guests to bring some food and drink, please list that on your invitation along with your reminders. Expecting gifts? Lately with house warming parties, it’s more of opening your new home to your loved ones than getting gifts. It’s really up to you if you want to start a registry or list the things you might still need for your new home. Or you don’t have to indicate gifts at all and just enjoy the company you have! If someone does ask if you need anything, you can let them know or tell them you do not need anything. Know your crowd! Know who you’re inviting,s what they like and what will keep them entertained. Are you into party decorations? 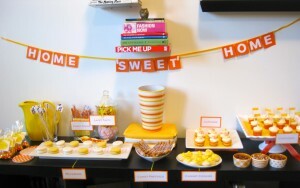 What better excuse to decorate than for your own house warming party! You can set up a theme, look up a lot of DIY décor or pin it up on Pinterest. But let’s be honest, your guest are here for the food and see the new place. You can place a simple party cloth on your dining room table to place your food on top of. Set your drinks in a cooler, bucket or just the kitchen counter. People love free food! If you want a party or an event to have at least a decent turn out mention, “FREE FOOD.” For a housewarming party the best foods will probably be finger foods, pizza, cheese and crackers, cakes and cookies. When setting up the food think buffet style, its less stressful and more options. Don’t try to do the new lobster dinner recipe you saw online. There’s nothing worse than trying to cook something new the day of the event and it doesn’t come out right. As mentioned earlier, “KNOW YOUR CROWD!” Pick out foods that you know your guest will eat (so you won’t be stuck with so many leftovers). Make sure you have different foods to cater to different inquired of taste and eating styles. It’s not a party without music! While people are enjoying your new home and your food, it’s nice to have some background music. Not only will they mingle, eat, but they will also dance with each other! A good housewarming party has great music. Once again know your crowd! 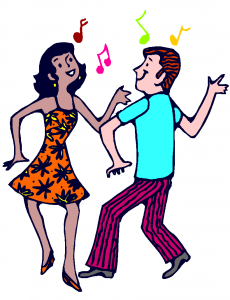 If music will be played make sure you pick a variety of different genres. After the success of your housewarming party, it’s always good to follow up with your guests. 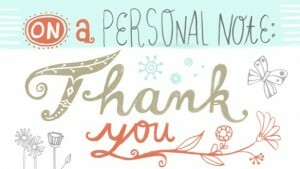 You can send out a mass text/email/Facebook Post or send out personal thank you cards to all your guests. It’s always good to show appreciation to the ones you love. Need movers for your next big move? Contact Garrett’s Moving & Storage at www.garrettsmovinginc.com or call us at 972-487-5843. This entry was posted in Apartment Moving, Estate Moving, Moving Stories and tagged apartment, apartment moving, apartment tips, dallas, dallas movers, dance, dancing, dfw, family, first home, first house, fort worth, fort worth movers, friends, gathering, get to together, housewarming, housewarming party, moved, movers, moving, moving companies, moving company, music, open house, parties, party, showing. Bookmark the permalink.